Texas's own Daniel Wilkerson has finally released his first solo album, simply called Wilkerson. The ten songs are a feast for lovers of catchy Power Pop. In the interview he talks about the first song he wrote (for his mother), prostate cancer, meeting Ringo and Paul of The Beatles, being a music journalist, his old bands Windswept and The Pengwins, singing for Weird Al Yankovic, collecting Beatles memorabilia and why after all this years he finally went solo. DW: According to my mother, my maternal grandfather was a really good singer; he sang in nightclubs in the 1940's and his favorite song to sing was "Embraceable You." My grandfather died many years before I was born. My dad played drums and was in the jazz band in high school. My mom sang constantly (although not professionally) throughout my life and still does to this day. PSF: What was the first song you really loved and why? DW: Probably "Danny Boy" as my mom would sing me to sleep with it. I do remember when I got The Beatles "She Loves You" single, I loved the B side "I'll Get You" way more. To this day when I hear "Well there's gonna be a time, when you're gonna change your mind," I still get chills. "This Boy" (The Beatles) was a favorite early on as well. PSF: What was the first band you played in and what kind of music did you play? DW: The first band I was in was a neighborhood group when I was 13 years old. We tossed around a few names but for the first gigs we played under the name Badaxx (ha!). We played songs by The Beatles, Neil Young, Grand Funk, Free, and Chicago to name a few. PSF: What made you want to become a musician? DW: Seeing the Beatles on The Ed Sullivan Show in America when I was young. I had such a great and immediate connection and I knew right then what I wanted to pursue in my life. PSF: What instruments do you play and which is your favorite? DW: My main instrument when playing live has always been the drums; however, my favorite instrument to play is the guitar. I write most everything with a guitar. Occasionally, I write on piano. I'm not great at either, just enough to be dangerous! DW: The first real song I wrote was a short little tune about my mom who at the time was having some major health issues because both kidneys had shut down and she was on dialysis for a long time waiting for a donor. We weren't sure if she was going to make it. By the way, she finally got the kidney transplant and she is the 2nd longest living transplant survivor in the state of Texas! PSF: What good memories do you have of your band Windswept? DW: Windswept was a really fun band with a huge variety in repertoire. We played The Beatles, Aerosmith, Queen, Deep Purple, The Rolling Stones. I was in Windswept from 1975-1978. I left the band to join The Pengwins. We used to play a lot of the high school dances in the area including my own high school which had 3-4 dances per year. This was back in the day when all of the high school dances had live bands (‘BD,' before disco). One of my favorite memories of Windswept was when we played a Middle School concert during a school day morning. It was a full auditorium and the kid's reaction was over the top. We were stars for a day! PSF: What good memories do you have of the Pengwins? DW: I joined The Pengwins in 1978 when I replaced their first drummer. There are so many great memories as I toured full time with the band. We toured most of America (including Alaska) and England. We played in front of 40,000 people at a Spring Break event in South Padre Island, Texas. We were the opening act for many great headliners including Cheap Trick, The Fabulous Thunderbirds. We released a single. I did a lot of writing and recording. I left the band in 1985 because our first child was due to be born. 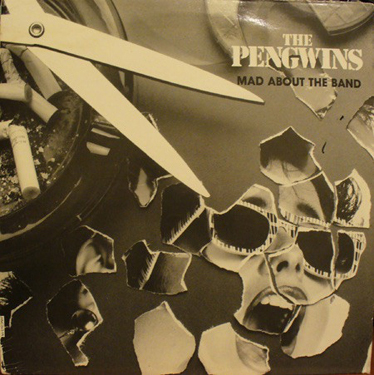 PSF: Why did The Pengwins reform and are you still in the band? DW: The Pengwins did their last show as a band on January 1, 1993. We got back together in 2004 again for a reunion show and have been recording and playing every since then. I am still the drummer. PSF: From all the cover bands you played in which is your favorite one and why? DW: Slam Bang, Windswept, The Pengwins, The Nurse, The Pickles, Generation Rumble and The Waltons. That's a really tough question as they were all fun for different reasons and filled that need and desire to play in various times in my life. I am almost always happy when I play. The Pengwins played a lot of covers in the beginning so if I had to choose one band that would probably be it. The Waltons played together for 14 years before The Pengwins reunited. We had a really fun repertoire and stayed very busy. PSF: Can you tell me a funny incident from your time being a music journalist? DW: The staff at my high school gave me free rein to make general announcements for events that were happening at the high school, but I always managed to slip in announcements that had nothing to do with the school (to the dismay of the principal and administrative staff!) about upcoming shows in the area. "The Pep Rally is this Friday at 9:30 in the Auditorium and by the way Led Zeppelin tickets go on sale this Thursday!" My musical tastes were so varied so I think I was probably the only person in the entire school that cared about my review of the Modern Lovers (Jonathan Richman) album. PSF: What was the best concert you wrote about? What was so special about it? DW: I had to skip class in order to get tickets to this show, but it was Paul McCartney and The Wings ‘Over America' tour. McCartney actually rehearsed in Fort Worth for this tour for two weeks as the first show of the tour was in Fort Worth. It was an amazing show. It was the first time I had been able to see McCartney live. The venue held 13,500 people and no one in the arena was closer than me when he came out on stage. I was literally standing right in front of him. I will never forget when he played "Yesterday" during the show. It took me back to the first time I saw him perform on The Ed Sullivan Show. I still have 8 track tapes of THAT show. That's right, 8-track tapes! Not the best format, but I got them directly from the sound engineer for $40.00. Pretty crazy! PSF: Can you tell me a funny incident from working with Weird Al Yankovic? DW: The funny part of working with him was actually how it happened! I was scheduled to meet with Rick Derringer to work out final details for The Pengwins' upcoming recording sessions that Rick was to be producing. Rick asked me to meet him at a recording studio in Los Angeles, California. When I arrived, someone lets me in and starts guiding me back to where Rick is. As I get closer, I hear The Rolling Stones being played on an accordion. Rick is sitting behind the mixing board acting as producer with an engineer and Weird Al Yankovic is in the studio playing the accordion. After a while, they all take a break, we all eat some Chinese food they had delivered. At this time drummer Carmine Appice (Vanilla Fudge, Rod Stewart, Ozzy Osbourne and many others) joins us for dinner. After some very interesting conversation, everyone but Carmine heads back to the studio. Rick and Al are talking about what they want to work on next. Al wants to work on some vocals and he looks at me and says "Do you sing?" I say "yes" and he says "come on." He takes me out to the studio, they set up a vocal microphone, he pulls some lyrics out and next thing you know I am multi-tracking background vocals and harmonies throughout the entire song with Weird Al on a song called "Spam" (a spoof on R.E.M. 's song "Stand"). It was spontaneous, fun and more than a little unreal. «Spam» was released on the Weird Al album/soundtrack UHF. PSF: You collect Beatles memorabilia. What is your most treasured one? DW: I have a paste-over Butcher cover in great condition, an unopened yellow submarine model, a signed Paul McCartney Ram album, a promotional poster that Ringo Starr signed (less than a 100 copies exist) to name just a few. PSF: How was it to meet Ringo and Paul of The Beatles? When and where did you meet them? DW: A good friend of mine scored some tickets at the last minute for a group of us to attend "The Night That Changed America – A Grammy Salute to The Beatles" which was commemorating the 50th Anniversary of The Beatles first appearance on the Ed Sullivan show. The Grammy salute was filmed on January 27, 2014 in Los Angeles and was held the day after the 56th Grammy Awards show. The special aired on February 9, 2014. During one of the commercial breaks I was returning from the lobby and saw three security guards who were pretty much dressed identical to me (black shoes, black pants, white shirt and black jacket). I could tell they were security by their earpieces. So, at the spur of the moment I fell in line behind them and we all continued to march past three security checkpoints and as soon as I got to the section where Paul, Ringo, Yoko Ono, Tom Hanks and other celebrities were sitting, I peeled off from the security group and calmly walked right up to Paul and Ringo. I took a photo of the two of them sitting next to each other with my phone and then immediately introduced myself to Paul McCartney and Ringo Starr. It was a very surreal experience and they couldn't have been nicer! As soon as I finished a very brief conversation with them I hooked it back to my seat before anybody caught on to what I was doing and escorted me out of the venue. PSF: Why did you start your own company Direct Management in 1985? DW: When I left The Pengwins as a band member, I started Direct Management to manage & book The Pengwins. I was still trying to get a record deal for the band. We took on a couple other bands on as well, but The Pengwins were always front and center as my main focus. PSF: How did you wind as a mayor for a town? DW: I wanted to make a difference in the city where we live (Annetta North, Texas) so I originally ran for city council. It was long after I was elected that the council voted for me to be Mayor Pro-Tem in 1995. I served on the council as Mayor Pro-Tem for a decade and then served as Mayor for four years. PSF: In what way did your prostate cancer change your life? DW: The biggest change is appreciating life and relationships more than ever. I appreciate simple things in life that I took for granted before. PSF: How do you make a living now? DW: You mean other than ALL the money I'm rolling in from the music business? (Joking) I am a Commercial Real Estate Broker which gives me the freedom to travel and do shows whenever I want. PSF: Why did you go solo? DW: I have been in bands all my life since I was 13 years old and I've always wanted to pursue a project where I could have complete freedom and control to express whatever musical and lyrical ideas I had. Some of the songs were from unfinished ideas I've had over the last 25 years. This sort of forced me to move forward with those bits and pieces of ideas. It was also a dream to get to work and co-write with Bleu (McAuley, producer) who had the ability to bring a lot of what I envisioned and more to life. I was pushed out of my comfort zone more than a few times. It was sometimes easier to have an idea lay there unfinished than to flesh it out. I am a perfectionist so sometimes this took a bit of time to get the song to where I was completely satisfied with it. 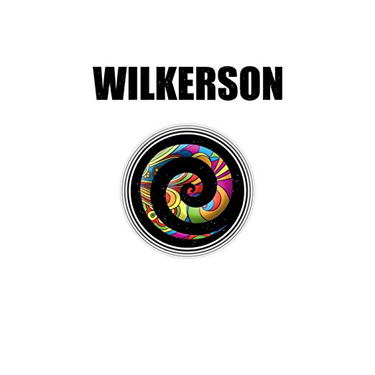 PSF: Why is your solo debut called Wilkerson? DW: It was suggested that Wilkerson sounds more like a band and might appeal to more people or at least pique their interest. An album titled, Danny Wilkerson might have led more people to think I was a folk singer (ha!). PSF: How come you worked with Bleu? DW: Bleu and I met through his Kickstarter campaign and before that when my son's band, Green River Ordinance, was with Capitol/Virgin the label had arranged for my son, Joshua to co-write with Bleu for their band. My wife and I were already big fans of his and would listen to his music almost every morning while we were getting ready for work. I jumped at the chance to get to write with him. The first session, I was so nervous I could barely play my guitar. My voice was all shaky. He was very gracious. I fumbled around for a while with several of my ideas in front of him and then finally managed to get the first verse and chorus of what became "Let it Go Tonight" in which I sang the slide intro and string parts to him. He had me sing the intro parts a couple of times and got to work. It wasn't long before what I was hearing in my head was coming together right in front of me. Bleu is incredibly talented. He can play just about any instrument. He has an amazing ear, an incredible voice and he knows his music. He has an amazing sense of exactly what needs to be there, technically and musically. DW: A great melody, good lyrics, harmonies and a chorus you can easily sing along to. PSF: Which is your favorite song from your debut and why? DW: My wife's immediate favorite was "Everybody Loves to Love" and then when asked, it changed from week to week. I am kind of the same way. "You Still Owe Me A Kiss" has a special place in my heart. When my kids were very young, I would give them a kiss before they would go to bed. One night my daughter was upset because she had to go to bed and wouldn't give me a kiss so as she stomped away to her room I said "OK, you owe me a kiss." Next time it happened, I had a guitar in my hand so I played and sang what eventually became the chorus to that song. It happened so quickly and naturally but it stuck with me. That chorus has been in my head a very long time. It was such a relief to get that song out. My son, Joshua also had a short break from touring with his band Green River Ordinance, so he flew to LA with me to Bleu's studio and helped me finish the song. Anyway, because of all that, the song is a pretty emotional one for me. PSF: My favorite song is "Everybody Loves To Love." How came that together? DW: Wow - I'm so happy to hear that this is your favorite. This song was the last one recorded for the album. I debated about having this also be the title of the album so I settled for having it be featured on the inner sleeve cover art. First off, when we started the project, I wanted to make an album that had a positive message so I loved the idea of this title. Bleu and I were discussing songs like those of Tears for Fears and obviously the second side of Abbey Road where the songs lead you from one mood to another stylistically and musically. The song kind of takes you on a journey where you don't know where it's going or what's coming up next. PSF: What inspired you to the song "Too Much Of A Good Thing"? DW: My wife, My Kids, My Friends, Music, Opportunity, My life. I am so blessed and it ‘makes me happy'! PSF: Listening to the 10 songs on your debut, bands and artists like ELO, Tom Petty, Traveling Wilburys, some Byrds and of course the Beatles come to my mind. Was there a main influence for the album? DW: You're spot on with your references to my influences on the record. Most obviously would be The Beatles, however, my musical life was inspired by the British Invasion, the early 70's Motown (Jackson 5, Stevie Wonder, etc..), James Taylor and Jimmy Webb and Big Star just to name a few. PSF: Well, I got it right there. There are more than a couple of love songs on your album. Is there a kind of a main theme on Wilkerson? DW: Love, Peace, Happiness, Reflection, Family, making each day count, relationships. There is intentionally no negativity, judgment, sexual innuendo or profanity. I strived for a positive, uplifting record as I believe the world needs more of that more than ever. DW: Having been a part of making someone else happy. Fulfillment, contentment, getting to pursue your passion and being surrounded by those you love. PSF: With your solo album, you crossed another goal off your list. What is your next goal? DW: To try to get the record into as many people's hands as possible. Keep writing and recording. Beyond that travel. There is a LOT of the world I want to see.